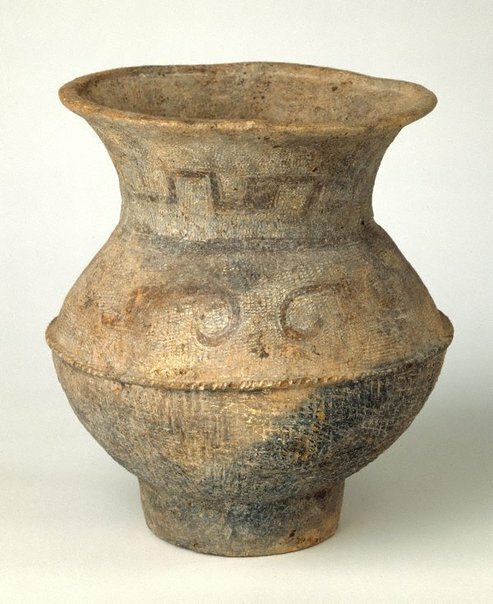 Used as grave goods, Ban Chiang ceramics were discovered in burials along with bronze and iron artefacts and personal adornments such as glass beads. Through what now appears to have been erroneous dating methods, the Ban Chiang bronzes and ceramics were dated to 3600 BCE. This would have meant that bronze technology, and hence civilization, began in Thailand and not in Western Asia as previously thought. Widely publicised in 'Time' magazine in 1976, the pots gained instant fame as proof of the earliest civilization in the world. However, subsequent testing has given an average date of the 2nd century BCE. Similar dates have been given to stylistically related artefacts found at Cambodian and Vietnamese (Dong Son) sites, re-iterating the inter-connectedness of early settlements in mainland Southeast Asia. The black wares are an exception: thermoluminescence testing indicates they are much older, dating to around 1500 BCE. 'Ban Chiang ware', The Asian Collections, AGNSW, 2003, pg.323. The Asian Collections Art Gallery of New South Wales , Sydney, 2003, 323 (colour illus. ).